While Leonardo DiCaprio’s recent triumph suggests all things good come to those that wait, it’s really hard to win an Oscar. History is littered with legendary actors, actresses, directors, writers and producers that somehow never managed to claim one of the coveted gongs. Just look at Jake Gyllenhaal. Despite being just 35-years-old, he has now had around half a dozen performances that should have resulted in him sat at the Academy Awards trembling with nerves and anticipation over whether he’ll have to make a speech. But rather bizarrely, Jake Gyllenhaal has only received one Oscar nomination. That’s a huge oversight on behalf of the Academy. But which roles should have resulted in the actor being acknowledged? Well, to celebrate his performance in Demolition, here are the five roles that Jake Gyllenhaal really should have been rewarded with a Oscar nomination for. To be honest, it could have been even more, too. While Donnie Darko was the first time audiences saw the true potential of Jake Gyllenhaal as a leading man, it wasn’t until 2005 where his prowess really came to the fore. After being overlooked for leading roles in Lord Of The Rings, Spider-Man, and Batman Begins, Jake Gyllenhaal was cast and then received critical acclaim for Jarhead, which was overseen by the Academy Award winning director Sam Mendes. What’s especially impressive about Gyllenhaal’s performance is just how restrained he is, as he allows the frustrations of the character to wallow rather than being forced down viewers’ throats. But while Jake Gyllenhaal might have been disappointed that his work in Jarhead wasn’t acknowledged, he could at least console himself with the fact that his Brokeback Mountain performance did actually earn him a Best Supporting Actor nomination. It’s just a travesty that’s still the only one he's received. It’s no secret that Jake Gyllenhaal didn’t particularly enjoy working on Zodiac. David Fincher’s prevalence for shooting as many takes as possible, even if that means doing close to a 100, infuriated the actor. 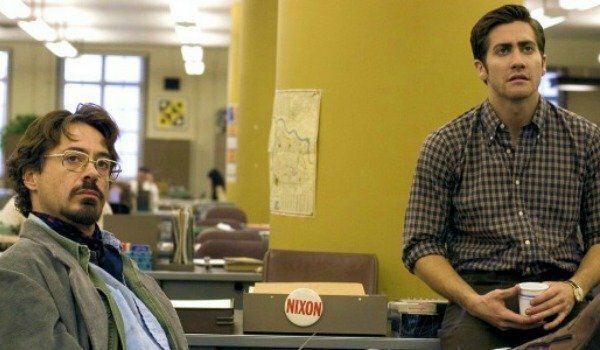 Yet, despite these issues, and even though it’s clear that David Fincher is the one who expertly guides Zodiac through its beguiling puzzle of a plot, Jake Gyllenhaal excels. Like Jarhead, Jake Gyllenhaal grows into his role as Robert Graysmith the further you get into Zodiac’s 2 hour and 40 minute running time. Gyllenhaal elegantly and subtly goes from being naïve about the murders to darkly possessed about solving the case of the Zodiac killer. Released a week after the 79th Academy Awards, it was always a long shot that either Jake Gyllenhaal, Robert Downey Jr., or Mark Ruffalo would be nominated at the following year’s ceremony. But while No Country For Old Men’s Javier Bardem was a rightful winner, Gyllenhaal’s portrayal was just as rewarding as either Tom Wilkinson’s in Michael Clayton or Philip Seymour Hoffman’s in Charlie Wilson’s War. The obvious and biggest indiscretion when it comes to Jake Gyllenhaal being acknowledged by the Academy occurred when they failed to nominate him for his performance as Leo Bloom. 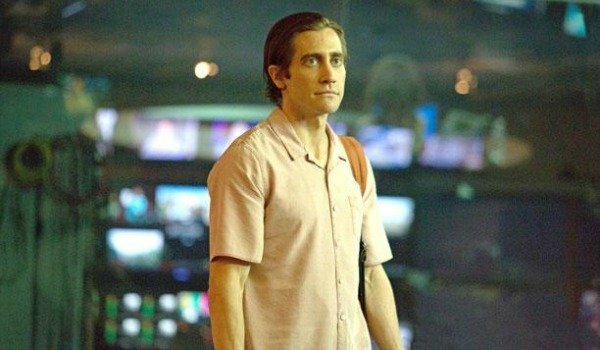 Previously recognizable because of his impressive physique and undeniable good looks, Jake Gyllenhaal made himself pale, gangly, bug-eyed and stick thin for Nightcrawler. He was also raw and intense as the charming but slimy Bloom, and not only did it instantly draw comparisons to the work of a young Robert De Niro, but it proved that Jake Gyllenhaal was much, much more than a pretty face. In fact, it immediately established Jake Gyllenhaal as one of the most interesting actors in American cinema. And in a very open Best Actor race that ultimately resulted in Eddie Redmayne winning the gong for The Theory Of Everything and Bradley Cooper and Steve Carell earning undeserved nominations, it’s impossible to understand why Jake Gyllenhaal wasn’t right up there in contention. One of the best cop films of recent years, End Of Watch is an energetic blending of action and characterisation, with Jake Gyllenhaal and his co-star Michael Pena flourishing as they’re given the opportunity to play realistic police officers that have who deal with both gang members and their personal relationships. For the role, Jake Gyllenhaal underwent an extensive and intensive training ritual that resulted in him giving one of the most authentic police portrayals in years. Undoubtedly Jake Gyllenhaal’s best performance since 2005’s Brokeback Mountain, the actor was only overlooked because of a ridiculously strong Best Supporting Actor category that saw Alan Arkin (Argo), Robert De Niro (Silver Linings Playbook), Philip Seymour Hoffman (The Master), and Tommy Lee Jones (Lincoln) nominated, while Christoph Waltz went on to win the accolade for Django Unchained. 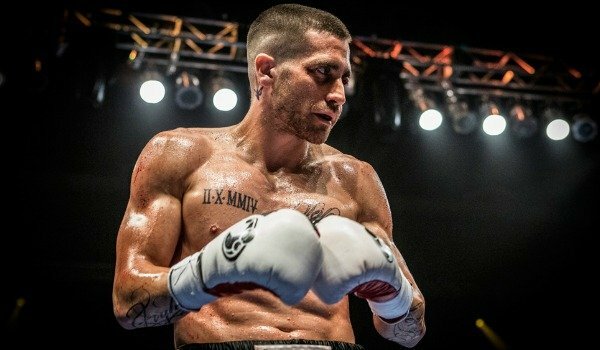 While Southpaw is a film that has its fair share of problems, Jake Gyllenhaal manages to paper over the cracks with a towering performance. But while you can imagine that the actor probably knew there were issues with the film, he is nevertheless fully committed with his portrayal. Not only is Jake Gyllenhaal undeniably impressive to look at in the film, having taken months to carve out his muscular frame, he looks every inch the boxer in the ring, and is just as raw and powerful out of it, too. Unfortunately for Jake Gyllenhaal, he is just let down by a preposterously conventional and clichéd script. While it also didn’t help that he was also overshadowed by Michael B. Jordan and the much better boxing offering that was Creed.